Mateusz Piskorski, the head of Poland's Zmiana (Change) party, said that fragments of the Russian Maritime Doctrine are taken out of context as proof of a "rather exotic thesis that Russia is conducting an offensive, perhaps even aggressive, policy toward the West." 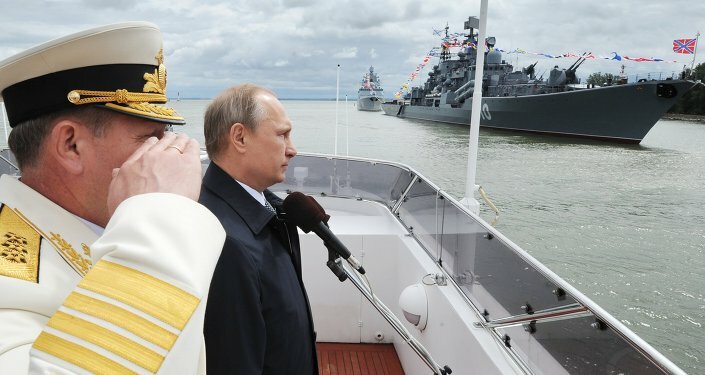 MOSCOW (Sputnik) – Antagonizing interpretations of Russia’s revised Maritime Doctrine are wrongly designating Russia as an aggressor, the head of Poland's Zmiana (Change) party told Sputnik Polska on Monday. Russian President Vladimir Putin approved a newly amended 2001-2020 Maritime Doctrine on Sunday. The 45-page document identifies functional and regional areas to serve as a backbone to Russia’s strategic planning in an evolving international landscape, as the country asserts its position as a global naval power. Zmiana Party Leader Mateusz Piskorski said the strategy carries a defensive rather than an aggressive stance. "Unfortunately, many politicians in Eastern Europe, blinded by their anti-Russian stance, do not notice the true meaning of this document," Piskorski said. He added that fragments of the doctrine are taken out of context as proof of a "rather exotic thesis that Russia is conducting an offensive, perhaps even aggressive, policy toward the West." The doctrine reiterates Moscow’s longstanding opposition to the North Atlantic Treaty Organization’s (NATO) military advance toward Russia's borders, something the document terms a "determining factor" in their relations. "If you read the naval doctrine carefully and pay attention to its details, it is clear that Russia has adopted an updated document dealing with the protection of Russian interests and security," Piskorski underscored. The Maritime Doctrine spells out six regional objectives, including the Atlantic and the Arctic, as well as four functional goals that include establishing long-term technological independence in the shipbuilding industry.